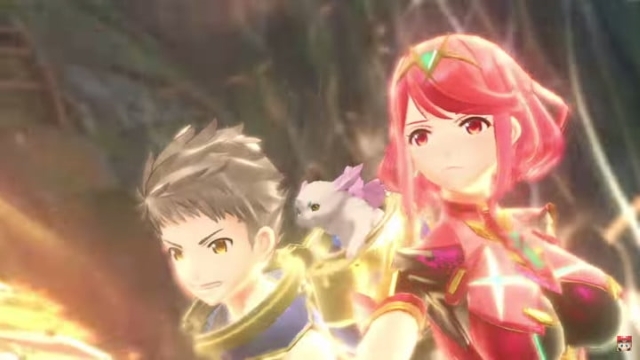 Monolithsoft showed off Xenoblade Chronicles 2 with full force at E3 2017, revealing a trailer and sitting down for a full 40 minute demo with Treehouse. 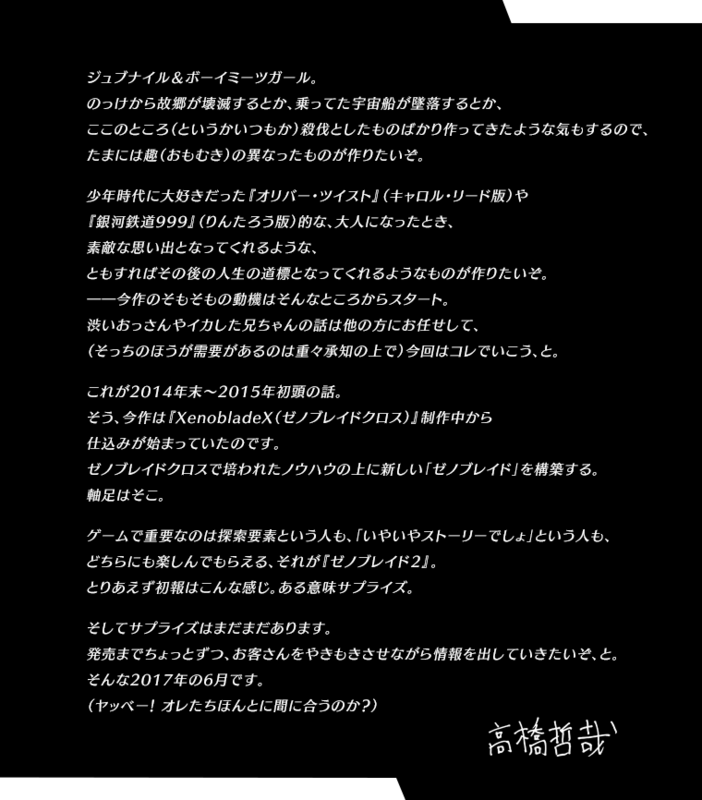 Joining the Treehouse demo, Executive Director Tetsuya Takahashi provided valuable insight on the game, but he also left fans a heart-felt message on Xenoblade 2’s official website. A young adult story with a taste of boy-meets-girl. Lately it feels like all I’ve been doing are games full of devastation, like where your hometown burns down at the start, or the spaceship you’re riding crashes(oh wait, that is all I ever do). Sometimes I just wanna try something different! Furthermore, while discussing the game with Treehouse, Takahashi clarified the difference between the original Xenoblade series and the X series, stating the original series is more story driven whereas the X series is more exploration and online driven. Saying as such, I hope that means we’ll be seeing the X series again. Despite doubts, Xenoblade Chronicles 2 is still expected to release winter of this year.